Applications for the admission to Ph.D. Programme will be invited well in advance and will be made on the basis of LPUNEST (Ph.D.) test and interview. The admission will be subject to vacancy being available in the relevant specializations. The candidates who qualify UGC (NET/ JRF)/ CSIR (NET/ JRF)/ ICAR (JRF/ SRF) examination/ SLET (Punjab only)/ GATE or GPAT score card/ ICAR (NET), SPM, Teacher Fellowship holder or passed M.Phil. Programme (in Regular mode only) will be exempted from entrance test. The final selection for admission in Ph.D. is based on the performance in Entrance Test (70% weightage) and Interview (30% weightage) subject to scoring minimum marks in the Interview. 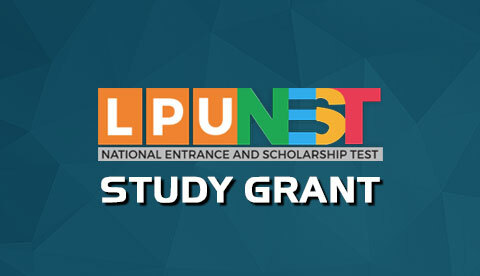 However if anyone is exempted from LPUNEST (Ph.D.) entrance test in lieu of above mentioned tests, then 100% weightage will be given to Interview only. Presenting a State-Of-the-Art (SOTA) seminar that delineates the current state of knowledge about the specific problem on which the student wants to pursue research, the proposed methodology and the goals intended to be achieved. After the candidate is granted the Ph.D. Candidacy, he/ she will appear before the Department Doctoral Board once in six months to make a presentation of the progress of his/ her work for evaluation and further guidance. Unless otherwise specified by the University, the medium of instruction, course work, examination, question paper, synopsis and thesis will be English in all cases. The Ph.D. candidate will be allowed to submit the thesis, if and only if, he/ she has published at least one research paper in refereed journal and made two paper presentations in conferences/ seminars before the submission of the thesis for adjudication, and produce evidence for the same in the form of presentation certificates and/ or reprints. The candidate will make a presentation of the work done by him/ her, which will be open to all faculty members and research students before the thesis is bound and submitted for evaluation. Division of Academic Affairs will be responsible for scheduling the open presentation for interested candidates. 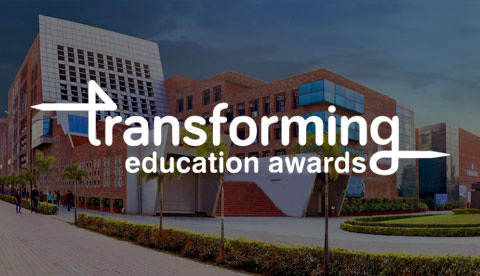 A candidate who intends to submit the thesis must inform the office of School of Research Degree Programme through a letter forwarded by his Advisor. The Ph.D. thesis submitted by a research scholar will be evaluated by his/ her Research Supervisor and at least three external examiners who are not in employment of the Institution/ College, out of which one shall be from outside the Punjab. The public viva-voce of the research scholar to defend the thesis will be conducted only if the evaluation report(s) of the external examiner(s) on the thesis are satisfactory and include a specific recommendation for conducting the viva-voce examination. The candidate will finally present the research work duly approved by the Thesis Reading Board to the Oral Defense Board as per the schedule. The Oral Defense Board will examine the candidate through a Seminar and a viva-voce based on the reports from Thesis Reading Board. The viva-voce examination of the candidate for the Ph.D. will be openly defended where all the faculty members and research students will be invited. At least three days’ notice through UMS will be given to the faculty members and others to invite them to attend the viva-voce. Based on the performance of the candidate in the seminar and viva-voce, the Oral Defence Board will send its recommendations for the award of Ph.D. degree for approval by the Vice Chancellor. Along with the degree, the University will issue a provisional certificate certifying to the fact that the degree has been awarded in accordance with the provisions to the UGC Regulations 2016.